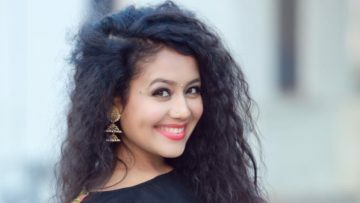 Neha Kakkar (born 6 June 1988) is an Indian singer. She competed on season 2 of the television reality show Indian Idol in 2006 and now she is judge of this show i.e. Indian Idol 10 She also appeared in Comedy Circus Ke Taansen in 2014 on Sony TV. She had judged a singing reality show on Zee TV named Sa Re Ga Ma Pa Lil Champs. In 2008, she launched her first album, Neha-The Rock Star, whose music was composed by Meet Bros. Her other work includes the songs “Sunny Sunny”, “Manali Trance”, “Aao Raja” with singer Honey Singh, “Dhating Naach”, “London Thumakda”, “Hanju” with singer Meiyang Chang, and “Patt Lainge” with singer Gippy Grewal.